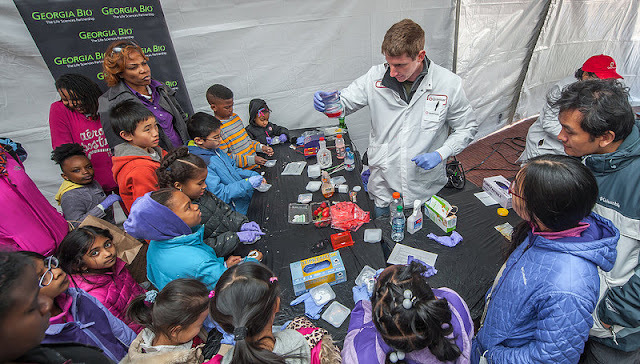 The Atlanta Science Festival is a collaboration of local scientific, educational, corporate, civic, cultural and community organizations led by Platinum Sponsors Emory University and Georgia Institute of Technology. The event also has support from over 100 partners, among them Gold Sponsor Metro Atlanta Chamber and Silver Sponsors Cancer Treatment Centers of America, Delta Air Lines, Georgia State University, Google, Mercer University/Mercer Health Sciences Center, The Clorox Company and UPS. Ever play with giant soap bubbles, ride a hovercraft, or taste liquid nitrogen ice cream? How about taking a journey through space and time as you gaze at the stars? Now you can with Physics Live! 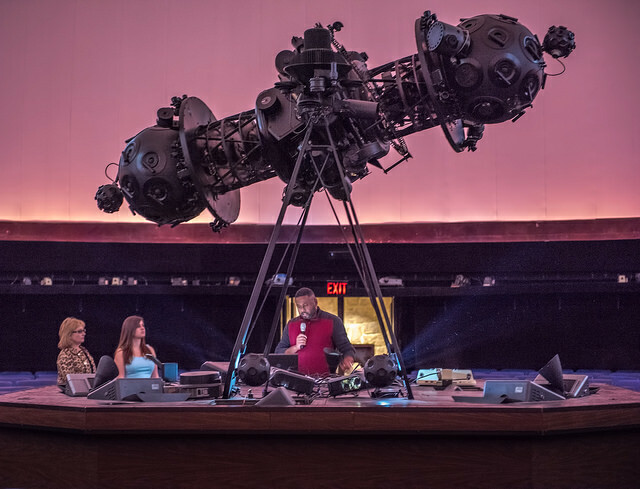 Join Emory University’s Department of Physics for an afternoon and evening of science exploration featuring exciting demonstrations, planetarium shows and laboratory tours! Bring your bike (or rent one for the day) and join us for a science-themed scavenger hunt on two wheels! Riders of all levels will learn about the science of sustainability, alternative fuels and energy conservation while biking around town and racking up points to win prizes. Tuesday, March 22, 7 p.m.– 9:30 p.m. (Ponce City Market, Second Floor): Test your science knowledge with this show featuring members of the HowStuffWorks team and experts from local universities and schools in and around Atlanta! The event will be hosted by Chuck Bryant and Cristin Conger from HowStuffWorks. Ladies and gentlemen! Boys and girls! Step right up and be a part of the Science of Circus! The Imperial Opa Circus and Georgia Tech scientists will be combining powers for an interactive circus science experience! Find out about forces in aerial trapeze! Be mystified by momentum in tumbling tricks! Encounter the counterbalances in acro balance feats! A complete list of events can be found at AtlantaScienceFestival.org. For the latest information on Atlanta Science Festival activities, follow the event on Facebook at AtlantaScienceFestival, Twitter at @ATLSciFest and on Instagram at @atlscifest. 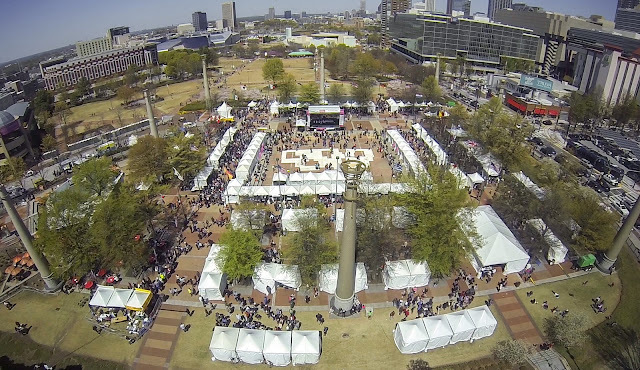 The third annual Atlanta Science Festival is a weeklong public celebration of local science and technology that culminates with an all-day interactive Exploration Expo at Centennial Olympic Park. Scientists, experts and educators from local schools, colleges, universities, museums and corporations will uncover mysteries and explain discoveries through hands-on activities, facility tours, stimulating presentations and riveting performances for curious people of all ages. Our mission is to celebrate the inherent integration of STEM/STEAM (science, technology, engineering, arts and mathematics) in our lives today, share the impact they have on our community, and inspire us all to wonder about our future. The festival is produced by a collaboration of science, cultural, and educational institutions, including founding partners Emory University, Georgia Institute of Technology and the Metro Atlanta Chamber. To learn more, visit AtlantaScienceFestival.org or call (770) 322-4992.